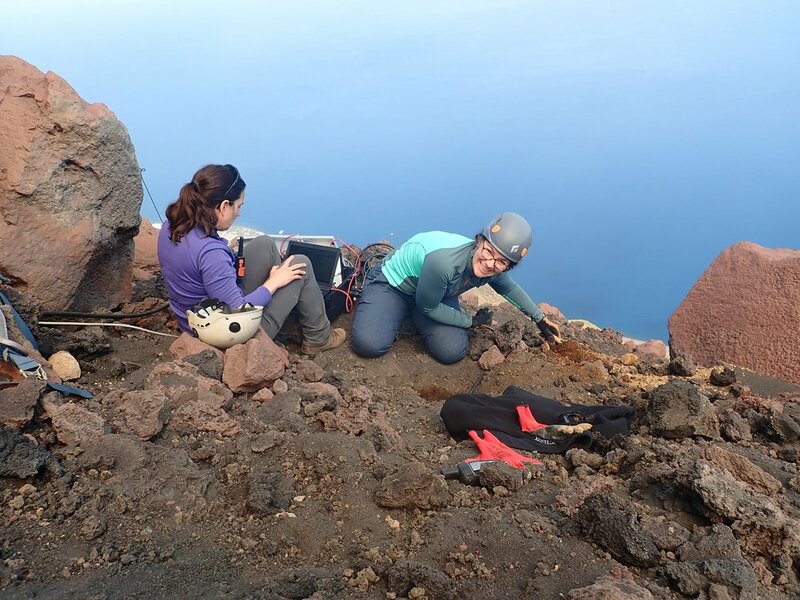 Volcano observatories use a variety of geophysical techniques to monitor volcanoes in near-real time to mitigate the threats volcanoes pose to local and global communities. Subsurface changes are primarily detected using seismometers, continuous GPS, tiltmeters, local gas sensors and sampling, and satellite remote sensing. An increase in subsurface fluid (i.e. magma and volatiles), pressure or temperature can result in increased seismicity, ground deformation and an increase or change in volatile content. 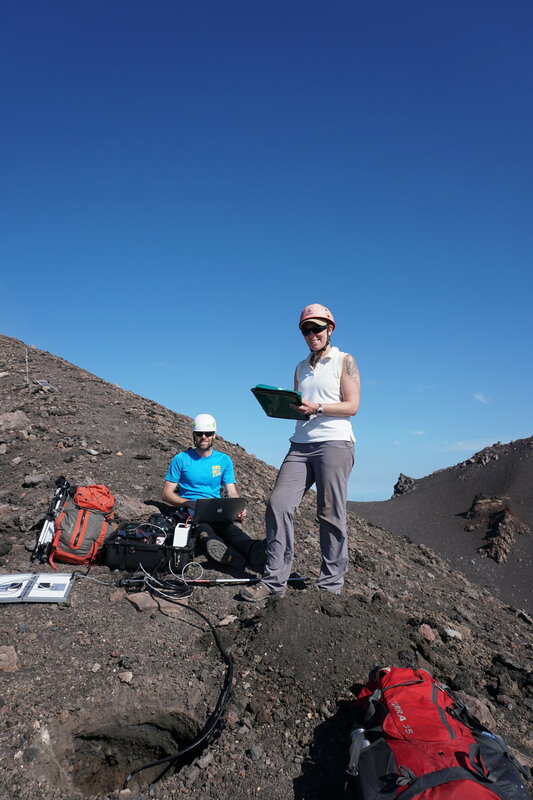 Complementing these observational methods, infrasound-sensitive microphones detect subaerial volcanic activity from gas jetting to explosions. An aim of the volcano geophysics community is to quantitatively link subsurface changes to the subsequent erupted product. 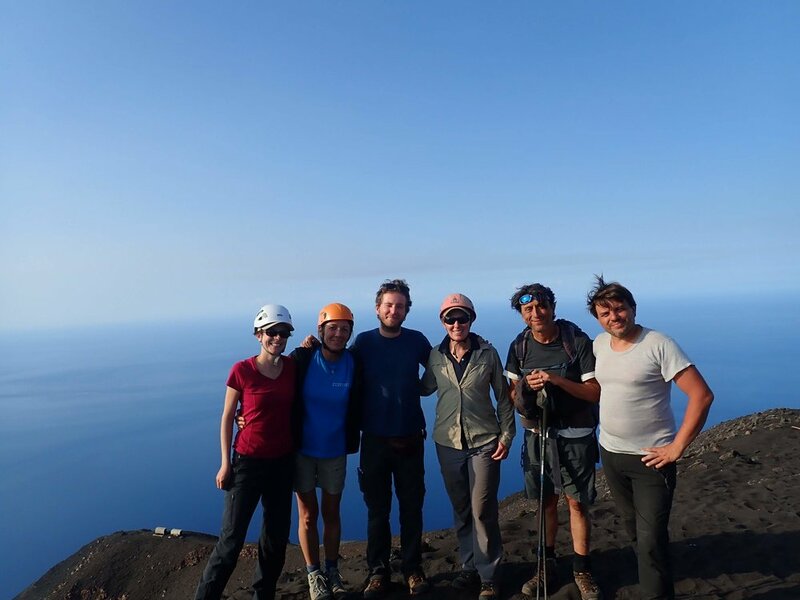 This project will advance this aim by quantitatively assessing the input and output volume flux of Stromboli volcano using infrasound, tilt-affected seismic, and gas data. Three-component, broadband seismometers are sensitive to tilt. 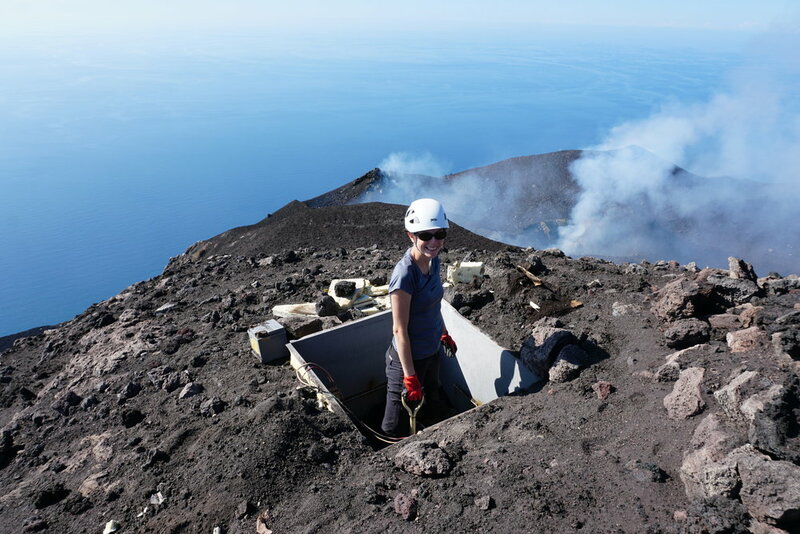 As such, we will deploy a seismo-acoustic network and a gas measurement instrument (MultiGas) at Stromboli Volcano, Italy. Our project objectives are: (1) determine the relationship between seismic-derived tilt and infrasound data; (2) conduct independent tilt-affected seismic and infrasonic waveform inversions to characterize the respective sources; (3) compare tilt-derived volume input to infrasound waveform inversion and gas flux volume outputs. Infrasound determined volume flux is incorporated in this study of volatiles, as it is robust to environmental changes (e.g. clouds, lack of daylight, and plume direction change from light wind) that can hinder gas detection methods.